Congratulations to the 2014 Pace Jessup Team! Our Congratulations goes to the 2014 Pace Jessup Team that advanced to Quarterfinals and Received Fourth Best Overall Memorial Award! The 55th Annual Philip C. Jessup International Moot Court Competition Northeast Regional Round took place on February 13-16, 2014 in New York at Shearman & Sterling, LLP. The 2014 Pace Jessup Team, comprising of Ann Bermont (3L), Rocky Boussias (3L), Bianca Francois (2L), and Kiersten Schramek (2L) and coached by Prof. Lucie Olejnikova, made an excellent showing at this year competition. The team competed along with twenty one other schools in the Northeast Regional Round, placing third overall after preliminary rounds and advancing to quarterfinals undefeated along with only seven other teams. The team went against Harvard in the quarterfinal round and argued an even match. Additionally, the team received an Award for Fourth Best Overall Memorial. This brilliant performance was a true team effort taking the Pace presence at this competition to yet another level. The team would like to thank the many faculty and friends who helped them prepare for the moot including Dean Lin Harmon, Prof. Ann Powers, Prof. Tom McDonnell, Prof. Shelby Green, Prof. Matt Brotmann, Prof. Keri Gould, Prof. Peter Widulski, Prof. Cynthia Pittson, Pace alumni Otto Cheng (04’) and Alli Kline (13’), and current Pace students Kristen Carroll (3L) and Desiree Salomon (3L). 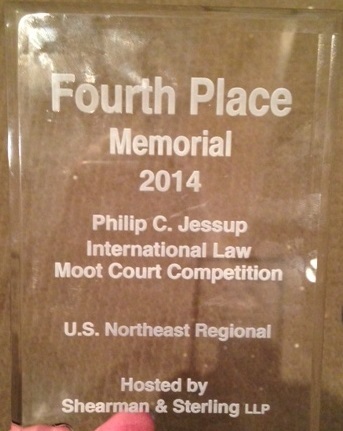 Join the law library in congratulating the Pace 2014 Jessup Moot Court Team on their excellent achievement! 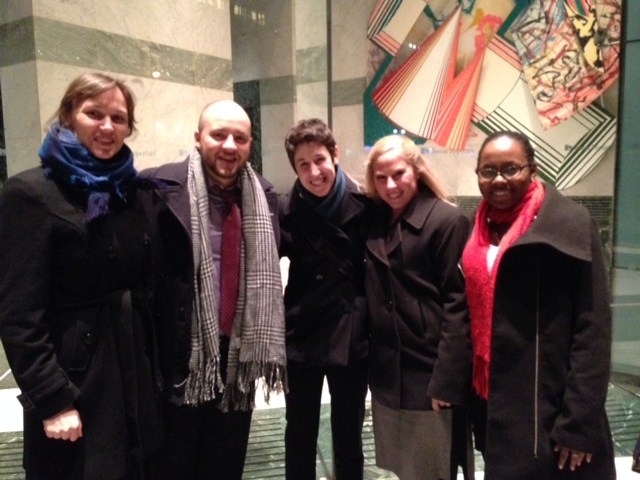 Previous Congratulations to the Pace Int’l Environmental Moot Court Team! Next Never Fear–Environmental Law Survey Study Tips Are Here!